The TANSOREN Solar Lantern is an extremely versatile source of light whether around the house, in the backyard, or on a camping expedition. 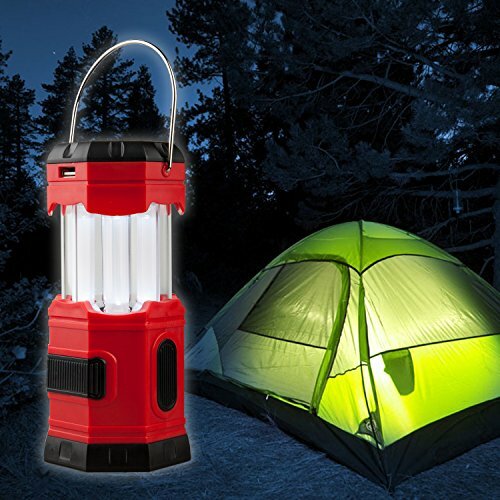 Give the Solar Lantern a quick charge with the 5V DC cord or using the solar cells located at the top of the light. Omni-directional LED lights provide illumination in every direction around the campsite. 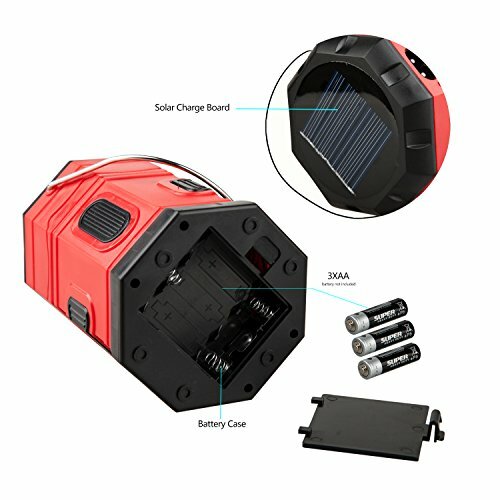 Solar charger or DC charging or 3-AA battery. Can not charge Apple mobile phone! 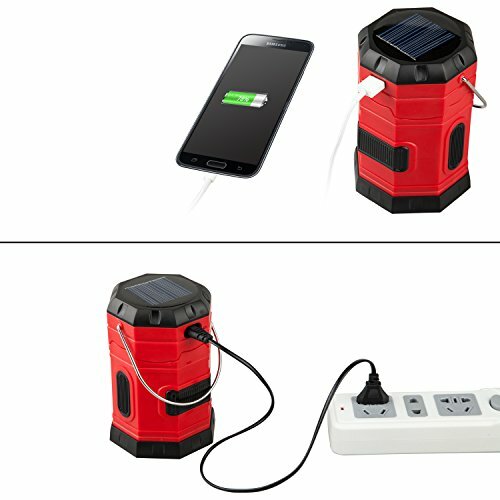 DC charging,please turn off the power,so as not to damage the LEDs!【3 Kinds of Power Supply Methods】: Built-in rechargeable batteries and solar panel,reliable solar or 5V DC USB charging or use the 3 AA battery to supply power. The red light next to the DC input mean in charging, (include DC charging line and “S”) Multiple ways to prevent no electricity. Making sure you have light with you at anytime. 【Compact, Lightweight and Collapsible Portable】: Applied with collapsible design. 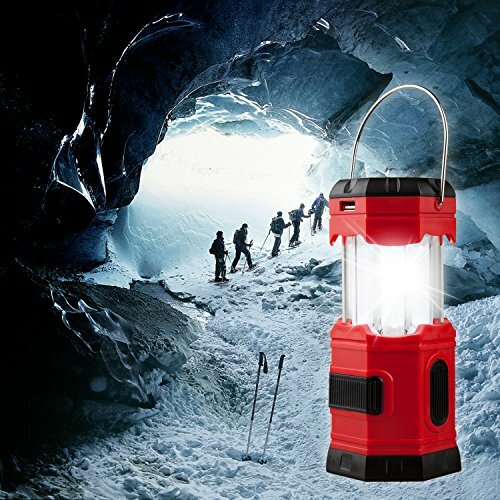 When you want to use the lantern, just pull the handles up; otherwise a simple push to adjust brightness or shut off, you could carry to anywhere you need a bright place, transporting super convenient. 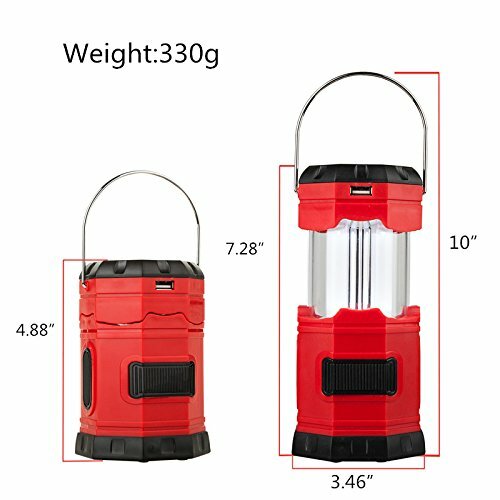 Low powered super bright 360 Degree LED camping lamp, light up to 8 hours, esigned for saving energy and a longer lifespan. 【High-quality Products】: Each of our premium lanterns are hand built with military grade, water resistant plastic – making them extra durable wherever you may be. The lantern is built for both the indoors & outdoors. 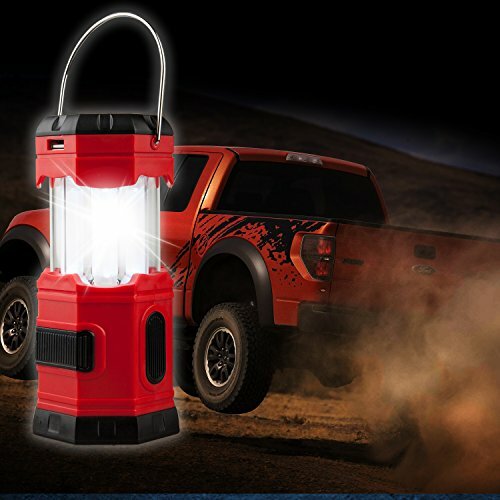 【Multi Functional Light for Home and Outdoor】: Every home needs such a best lantern. 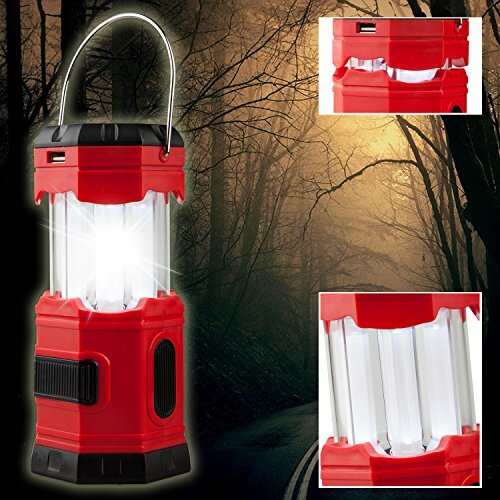 PERFECT GIFTS for MEN, FAMILY and FRIENDS, the solar led lantern is a multi-purpose essential whether as a work light, book light, reading light, or used as emergency kit when the poor weather and outdoor activities. 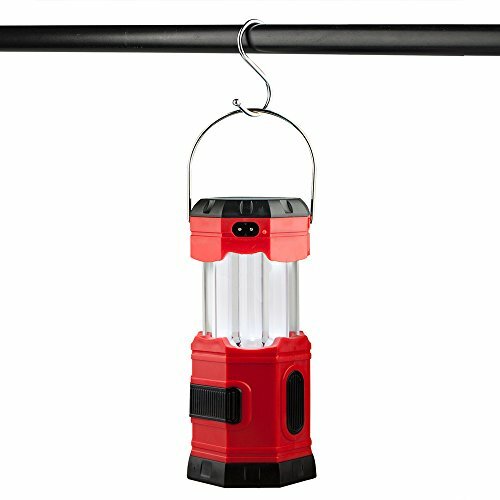 Very convenient for Hurricanes, Storms, Hiking, Camping, Fishing, Boating,Car auto emergency light, Shed, Attic, Garage & Power Cuts etc.